The CT-101 OFDM Signal Transmitter is an automatic transmitter to transmit SD/HD local (community) programs. 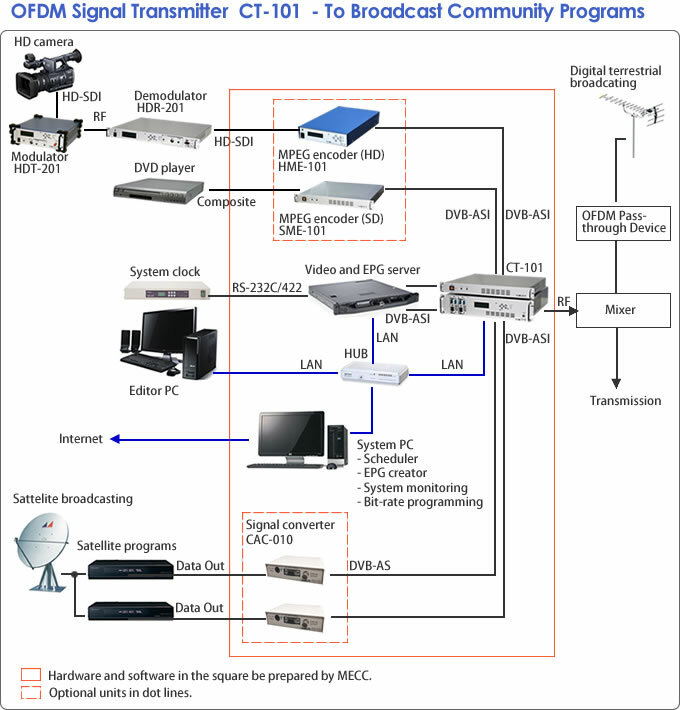 The system consists of a scheduler, a multiplexer, an EPG creator and an OFDM modulator, so an original programs can be easily broadcasted on digital terrestrial broadcasting. 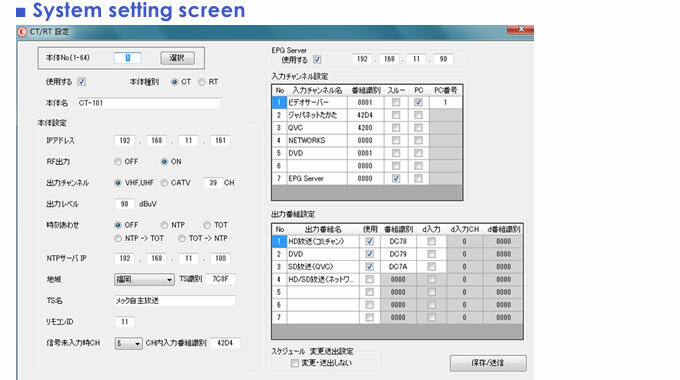 The system enables to save much work time as MPEG2-TS data can be transmitted from the video server. Switching Video Data as MPEG2-TS Files. 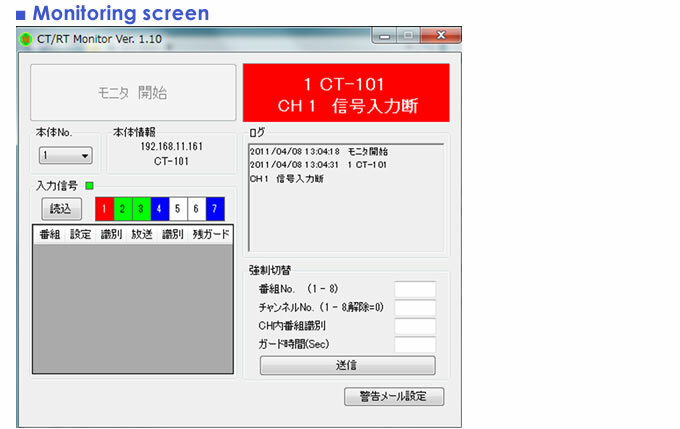 The CT-101 is a file-base system to switch and trasmit MPEG2-TS data CT-101 after editing video images. The system will save much work time to convert data from/to video tapes and to transmit data, and cost for equipment such as expensive encoders and recorders. 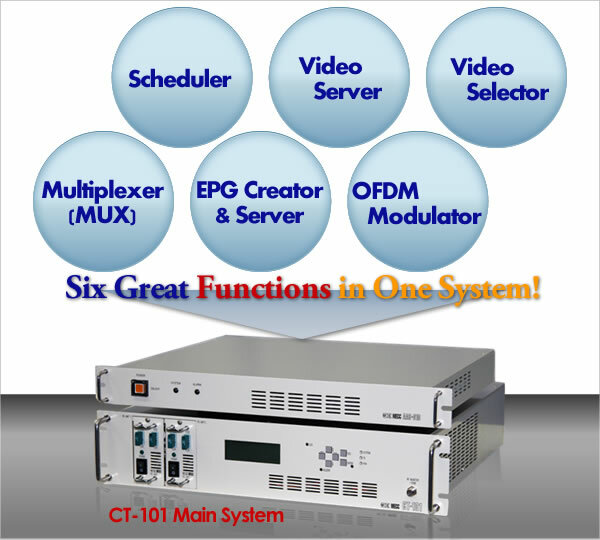 The CT-101 integrates a multiplexer and multiple contents can be transmitted at the same time. The CT-101 system contains a scheduler to transmit programs. 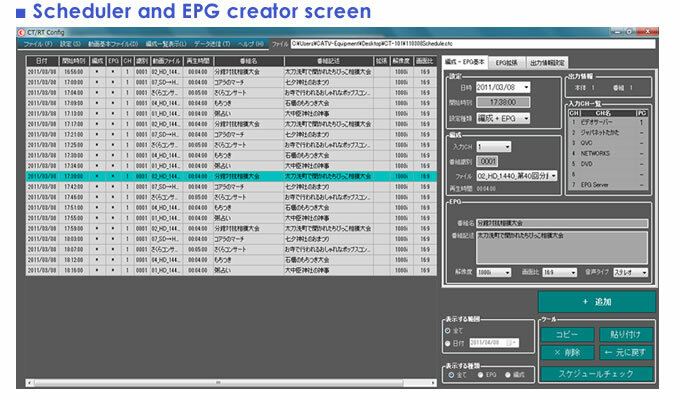 Only by adding a comment to each program file, EPG (Electronic Program Guide) will autmatically be created. 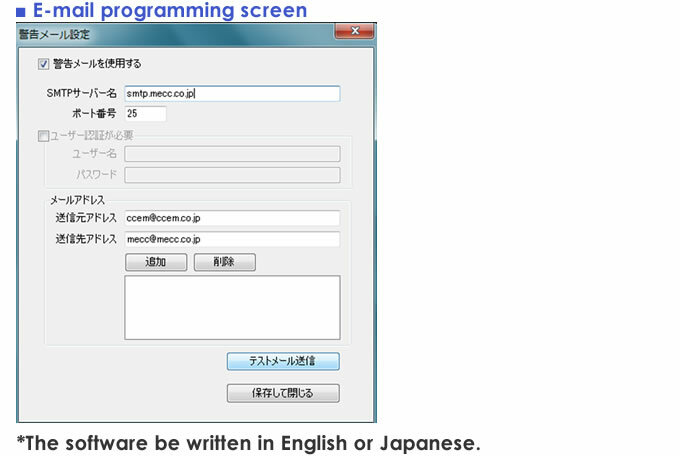 Observation monitoring software is included in the system and troubles be alarmed when they occurs. The report can be instantly sent to registered e-mail addresses (and mobile phones).